President Muhammadu Buhari, Monday decried the poor condition of Nigerian roads and promised to remedy the condition. Speaking with members of the Association of Retired Career Ambassadors of Nigeria (ARCAN) led by Ambassador Oladapo Fafowora, Buhari blamed the poor infrastructural development to the past administration's inefficiency, noting that his administration would do everything possible to fix Nigeria. The President told the retired Ambassadors that Nigerians will never forget the ‘‘lost opportunity between 1999 and 2015,’’ when the nation had huge resources at its disposal. ”There is no part of the country I haven’t been to, having attempted to be President four times. ”I know the condition of our roads. The rails were literally killed, there was no power despite the admittance of some previous leadership that they spent $16 billion on the sector. 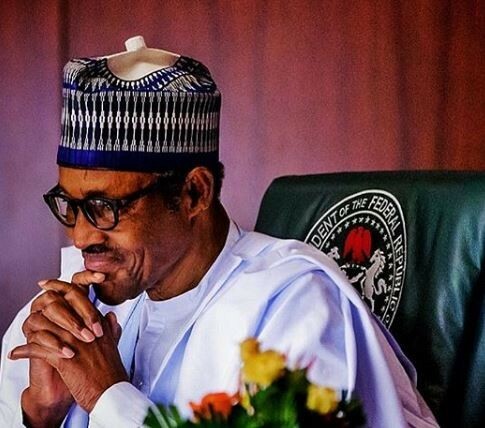 ”Today, we are getting our priorities right and we believe that of the three fundamental issues we campaigned on – security, the economy and fighting corruption-, we have remained very relevant and Nigerians believe we have achieved something,” the President said. President Buhari also used the occasion to appreciate the People’s Republic of China for financing some of the rail and power projects in the country through concessionary loans. ”I will do my best to see that where there are possibilities of making a quick improvement on infrastructure, we will do it,” he said. President Buhari also appealed to the Nigeria Labour Congress (NLC) to consider what this government inherited and the more it is doing with fewer resources in putting the economy right. The President took note of some concerns raised by the retired Ambassadors including an appeal for the adjustment of their pension entitlements, retention of diplomatic passport for retired career ambassadors, allocation of land for ARCAN headquarters in Abuja and adequate funding of the Foreign Affairs ministry, among others.